So, I've seen this Top Ten Tuesday meme around many bookish blogs and I've always wanted to give it a go, and after putting it off for no apparent reason I have decided to start doing these weekly! 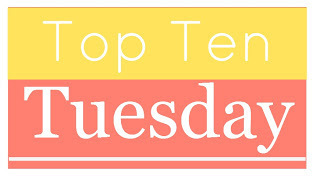 Top Ten Tuesday is hosted by The Broke and the Bookish so go check them out! This week is all about bookworm delights. What things delight us as book lovers? I could have written a bigger list than ten, but I managed to restrain myself! 1. Getting a book bargain: I am a lover of bargains and I do usually look out for books in charity shops and at car boot sales. I have picked up many great books from these places for great prices! 2. That book smell: I love the smell of books, be it new or old. There's something comforting and homely about it. 3. 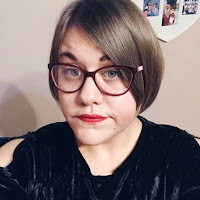 Discovering a new author: I am always looking into new authors as it does get somewhat tedious reading the same ones over and over again. I have discovered many amazing writers by being in this mindset. 4. Having my books in alphabetical order on my bookshelf: This is probably my OCD coming out but I love my shelf to be organised. I love all my books to be in alphabetical order by title. It's easy then to find what book I want to read without having to search and search. 5. Spending hours in a bookstore/library: When I'm surrounded by books I am literally in my element. I usually do end up spending a long time in my local bookstore and library. 6. Discussing books with fellow bookworms: Thanks to this lovely community I have been able to meet fellow book lovers. It's great to have people that I can talk to about my passion. 7. Reading inside on a rainy day: I love settling down to read a good book whilst I can hear rain hammering on my window outside. There's something relaxing about it that I can't explain. 8. Discovering a new masterpiece: Recent examples of these are; Painting Sky by Rita Branches and Death House by Carole Avila. It's amazing finding a book that you literally couldn't put down. These books will be ones that I recommend that everyone read. 9. Getting contacted by an author: Since I started book blogging I have been contacted by many different authors. It really does bring me pride as they have actually taken the time to contact me, read my blog and trust me to write an honest, thoughtful review of their book. 10. Reading whilst travelling: I travel a lot when I go to see my boyfriend and I obviously always have a book on me. Reading when travelling passes the time, but I also find it quite relaxing and therapeutic. I can always block out the outside world when travelling even if it's being quite loud. What are your delights? Be sure to let me know! I love reading on a rainy day too. Wonderful list.